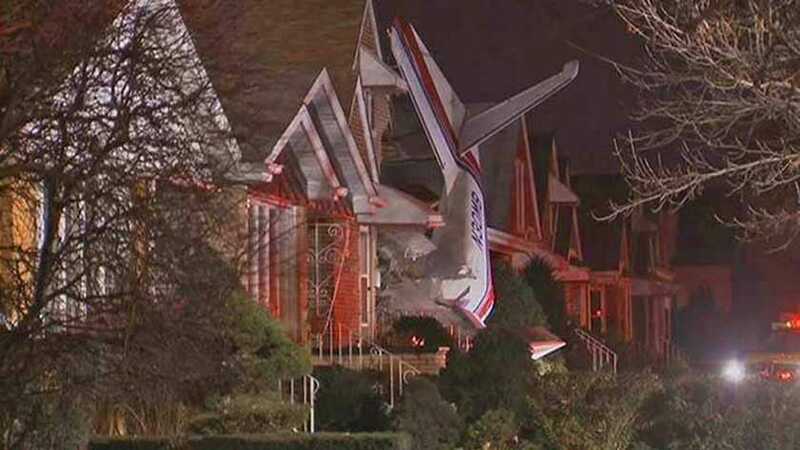 A small plane crashed into a house on the south side of Chicago early on Tuesday but the home’s occupants were not hurt, police said. It was not immediately clear whether the pilot of the aircraft had survived, said police spokesman Ron Gaines. The pilot of the Aero Commander 500 cargo plane departed from Chicago Midway International Airport and shortly after, asked to return due to engine troubles, said Federal Aviation Administration spokeswoman Elizabeth Cory in a statement. The plane crashed about a quarter mile (0.4 km) from the runway around 2:40 a.m., Cory said. Cory said the pilot was the only person onboard, and that the National Transportation Safety Board and the FAA would investigate. Local broadcaster WGN-TV published a photo showing the plane’s tail standing upright in front of the crumbled facade of the building. The multi-engine plane is registered to the Kansas-based Central Airlines Inc, according to the FAA aircraft registry. Police earlier said the plane was a single-engine craft. A person answering the phone for Central Air Southwest said the company was cooperating with the investigation, and declined to provide additional comment.